Mission International is planning 4 mission teams in the summer of 2011. To find out more information click here, to complete an on-line teams application form click here. You can also print off a paper copy of the application form, click here. If you would like to reserve a place on a Mission International summer team then please get an application form in to us soon. Kenya - 11th July - 2nd Auigust 2010 - working with the Maasai people in Narok area. 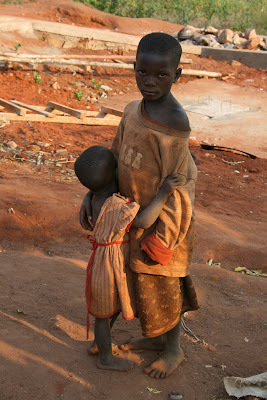 Burundi - Fnal dates to be confirmed (2-3 weeks) - working with orphans in Mission International's Hope Centre in Gatumba. India - Become part of a church team going to serve in Andhra Pradesh with orphan children and village churches. Dates to be confirmed (2-3 weeks). Click here to open a printable application form. Mission International's mission team to the Maasai people in Kenya is gaining ground. A small number of prospective team members have already expressed and interest and have taken the first step of completing and submitting an application form after enquiring about the team. Now others are keen to get on board too. If you would like to put your name forward then please contact us for more information on mail@mission-international.org or complete an application form by clicking here. Our intention, as part of the support given to the Maasai people would be to provide Bibles in their local language at a cost of approximately £5 each. If you would like to contribute to this please use the one-off donation or regular giving bank mandate links on the right hand column of this page. To see more on the Bible-A-Month club please click here. Back to Mission International blog. Mission International is committed to sending Mission Teams to various parts of Africa, Asia and South/Central America. 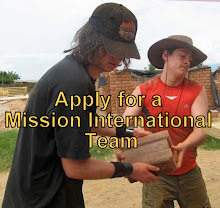 If you would like to apply for a Mission Team for 2010 please use the link on the right hand column of this page. Teams are deployed for 2 - 4 weeks after receiving training. An experienced team leader will travel with the team. Team costs vary slightly according to destination as well as other factors but a cost of £1300- £1500 is targeted, more details on application. Uganda - Working with local partner churches to share the Gospel and to serve the people with the skills you have. Rwanda - Working with local partner churches preaching the Good News and serving the church and local ministries. Burundi - Working with local NGO to serve refugee returnees rebuilding their lives in Burundi after being in exile in DR Congo and Tanzania. Kenya - Working with local NGO serving the Maasai people. Tanzania - working with local churches and NGOs serving refugees in camps on the Burundi border. South Africa - Supporting local churches in their quest to share the Good News and support the poor. India - Working with local NGO serving those with leprosy and those who are in prison. Haiti - Working alongside local churches serving the poor in the community. Children's Ministry - Stories, songs, dramas for children and some adults. Medical/Dental - Basic facilities in rural areas require experienced practitioners and/or those up for a challenge. Those with supportive medical skills also invited to apply. UK and local permissions apply. Construction - Builders, electrical, plumbing, landscapers, painting and decorating. Musical/Drama/Arts/Crafts - Those with skills they can pass on to others as well as be supportive to the whole team experience. Those with no obvious skills - It may be that you feel you have little to offer in terms of skills, but we are ready to encourage those with a willing heart and those ready to work hard. Team Activities: Mission Teams are particularly geared up serve the indigenous communities by sharing the Good News about Jesus Christ, serving in practical projects and ministering to adults, children and youth. Team activities vary according to country and host organisation requirements. 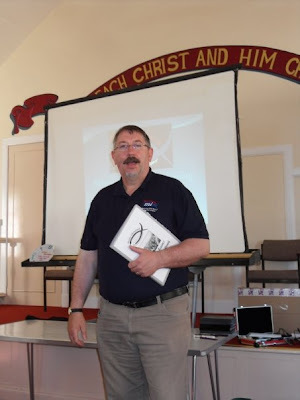 Mission International is not a 'mission tourism' organisation but it if often possible to include some interesting activities into our programme of events although these can include a further cost. The Hope Centre kids make a real song and dance! A 15 strong team of evangelists, medics and a dentist have recently returned from Burundi where they worked very hard and were able to provide a very useful service to the poor. Mission International's Hope Centre is home to poor and orphaned children as a result of Burundi's recent war. The children, one living in very poor conditions, have now been provided with many improvements including lovely homes and a regular and balanced diet. When the team came to visit, the kids entertained them with a traditional song and dance. The team visited the Anglican cathedral and hospital complex in Matana on the way to Rutana. The Burundian Archbishop showed them round the facility which is in need of a wide range of help and support. The operating theatre is pictured below. By the time the team reached the villages surrounding Rutana there were hundreds of people waiting for medical and dental care. The folks stood in the sun for days as the medics methodically worked their way through as many patients as possible. Not everyone could be seen, it was sad to say goodbye, in particular to those who could not be helped as a result of time constraints as well as the lack of medicines and the need for more radical hospital treatments. Here patients are treated with a mobile dental team in a rudimentary surgery set up for the occasion. Beautiful food was provided for the team at every stage of the trip, below is a good example of what was on offer. One team member was intrigued by the way mothers in Burundi carry their babies and decided to give it a go. To apply to be part of a Mission International team please click on the ink on the right hand column of this page. Team training takes place on the hottest day of the year! Trainees for the 2009 Burundi team sacrificed much of their day in the searing heat to take part in teams training. The team of 15 in total started early after travelling in from various parts of Scotland and remained late to make sure every detail had been covered before their epic trip to what has become the world's poorest country. A dentist, a doctor and three other medics are part of the team. Members in their teens and those who have retired are mixed together to make this a very versatile and exciting team to be part of. The team picture shows a couple of folks missing. Mission International's director Hugh Henderson delivers the training. 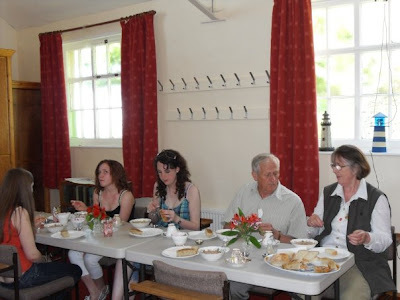 Team members from Port Seton and other friends were our hosts for the day and laid out beautiful meals for us, everyone expressed their gratitude for their hard work. Team members receive their instructions, a session of testimonies was also arranged where some team members practised the skills they will need for their time on team. 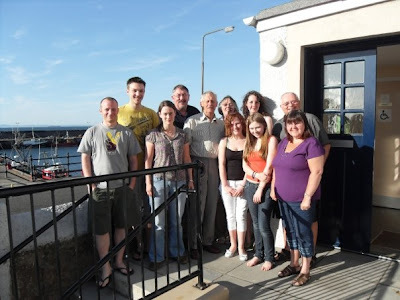 The hot sunshine experienced during the training day was a real attraction and so at any spare moment team members could be found outside enjoying the sun ans surveying the beautiful view over Port Seton's picturesque harbour. If you would like to apply to join a Mission International team please click here. Mission International is planning a team to Burundi during July 2009. The team, made up of medics a dentist and a number of evangelists and kids workers, will partner with Rema Ministries, an indigenous Burundian NGO, to serve the community there in particular the returning refugees coming back from the Tanzanian refugee camps. The team will travel throughout the length and breadth of the country to share the Good News as well as provide medical and dental support to returnee communities. To find out more about Mission International teams keep an eye on this blog for new posts, also you can find information and application forms if you click here. This blog is intended to keep you up to date with the current events going on regarding Mission International Teams. We recruit, train and deploy teams from around the UK to various parts of the developing world. If your church, school or community group wish to send a team, or if you would like to be part of a team them we would be delighted to hear from you. Blogs always give the last entry first and so if you want to know more, page down and look for the option to view older blogs. Also, The 'Blog Archive' list below will take you directly to a particular post item. 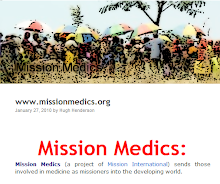 The links added to this blog will take you to other blogs related to the work of Mission International and to our website as well as give you the option to support our work. to contact us email mail@mission-international.org Enjoy! Apply for a Mission Team today! You may feel called to serve God in the developing world and you may want to talk over what that might mean for you and look at some of the options that are out there. You may even be at the place where you would like to make a visit to a project and see how you get on over a short term of a few weeks. 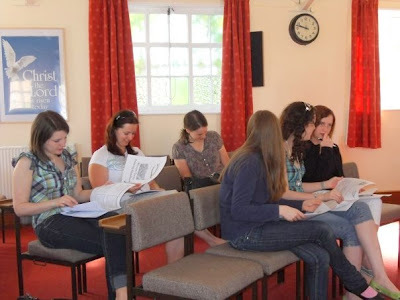 Bible Teaching: Many churches would welcome those who can teach the Bible and implement discipleship schemes since quality developmental teaching is often scarce. Children's Ministry: Many children in the developing world are treated as second class citizens. Children are forced to sit through incredibly long services which don't reach their age group, or are allowed to run around outside the church wasting the time until the adults have concluded their business. Many churches do not provide anything for children at all and so skills in developing this vital church ministry and working amonst the children as well as the adults are essential. Short Term Teams - Mission teams are usually deployed for 2-3 weeks. Team members are recruited from throughout the UK and can come from a wide range of backgrounds and age groups. It is possible to plan a team from one local church or other community organisation who would like to serve together abroad. Medium Term options: The chance to serve for a slightly longer period of a few months up to a year getting more deeply involved in the on-going work of Mission International and partner projects. Long-Term Service: Mission International as yet has no long-term missionaries but we are willing to talk over what that might mean for you and it may be that a plan can be worked out for you to serve God abroad. Medical Electives: Many medical students seek safe and worthwhile locations to serve as they learn more of tropical medicine and enjoy a few months in a different culture and community.